During our early school years, we learned there were four primary tastes—sweet, salty, sour, and bitter—and each was selectively sensed on our tongues. The tongue map was memorized by generations of students since 1901, when it was developed by the German scientist, D. P. Hanig. Today, we know there are five primary tastes. The fifth taste, umami (Japanse “good taste” or “good flavor”), common in foods containing monosodium glutamate (MSG), was discovered in 1907 by the Japanese chemistry professor Kikunae Keda. In 1974, Virginia Collings found that only very small variations in the sensitivity of different parts of the tongue to tastes and taste sensations are distributed throughout the tongue. In short, the tongue map is a myth. The four primary tastes provided early humans with clues about the nature of the food they planned to ingest: sweet tastes were rich in calories; salty provided nutrient value; sour signaled spoiled or unripened food; and bitter warned that the food was potentially toxic. Tastes are chemical senses recognized by specialized receptor cells present in the taste buds that are contained in goblet-shaped papillae—the bumps on the tongue. Fifty such receptors may be found on a single taste bud, and each primary taste triggers a receptor. Each receptor cell has a protrusion, the gustatory hair, which reaches to the tongue’s outer surface through a taste pore. After a tasty molecule mixes with saliva, it enters the taste pore, interacts with the gustatory hair receptor, and stimulates a taste message transmitted to the gustatory areas in the cerebral cortex. Studies going back to the 1930s and continuing to recent times provide a basis for our impression that some individuals have greater sensitivity to taste than others. Using propylthiouracil (a drug used in thyroid disorders) as a test substance, 50 percent of subjects perceived that it had a bitter taste, 25 percent could not taste it (“nontasters”), while 25 percent reported it to be intensely bitter (“supertasters”). Supertasters are more common among females and individuals from Asia, Africa, and South America, and their greater sensitivity has been attributed to having a greater number of taste receptor cells. SEE ALSO: Nervous System Communication (1791), Neuron Doctrine (1891), Action Potential (1939), Sense of Smell (1991). 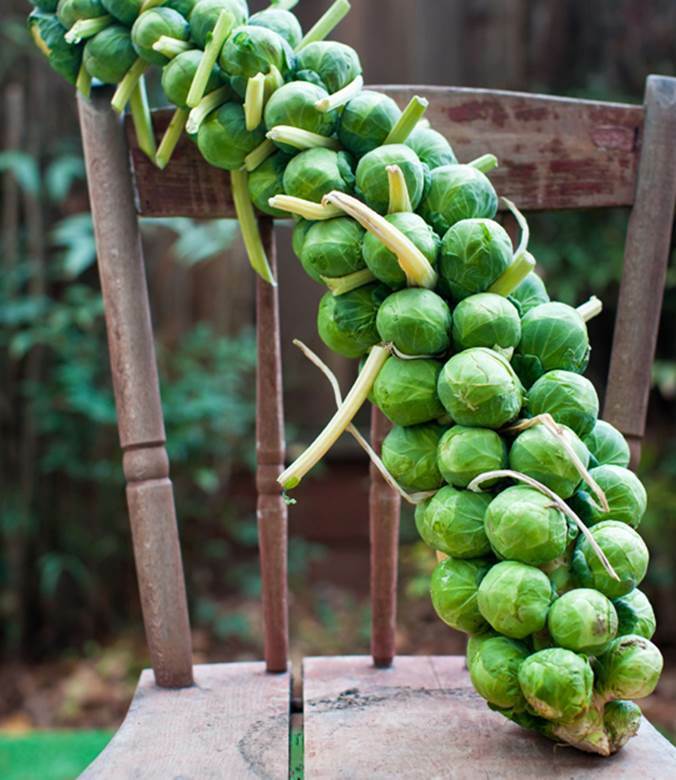 Some individuals find the taste of cruciferous vegetables (such as Brussels sprouts and broccoli) to be extremely bitter—a taste that has been attributed to the same chemical found in propylthiouracil.